Our entire backyard, including the pool, was covered in several feet of water after the dam release. The water in the street next to our backyard fence was up to five feet deep, and the current was so strong that our neighbors in small boats had some trouble crossing it. Once the water went down, our pool was filled with a brown, toxic brew of bayou water, pesticides, oil, and chemicals from folk’s garages. 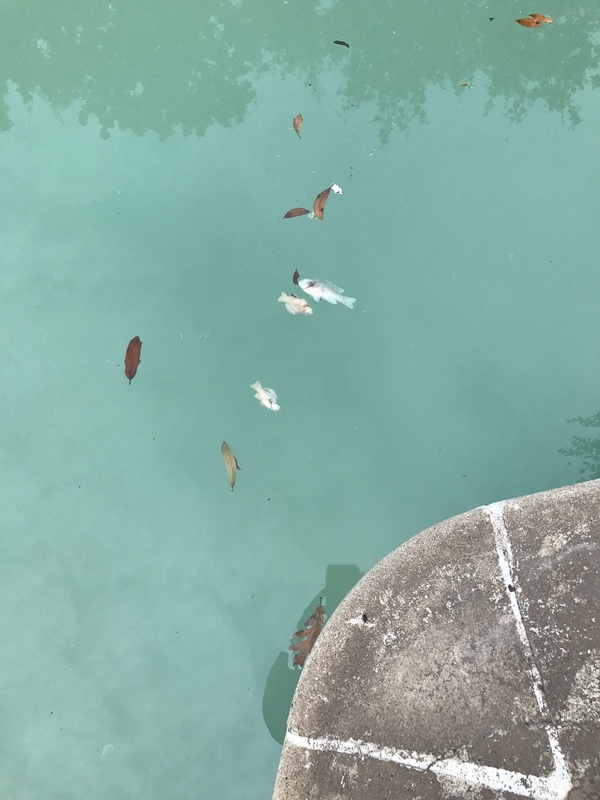 We had to call the pool people out immediately to replace the pumps and filter system which were destroyed, and to repeatedly shock the pool to clean it. When they did, dozens of fish floated up! 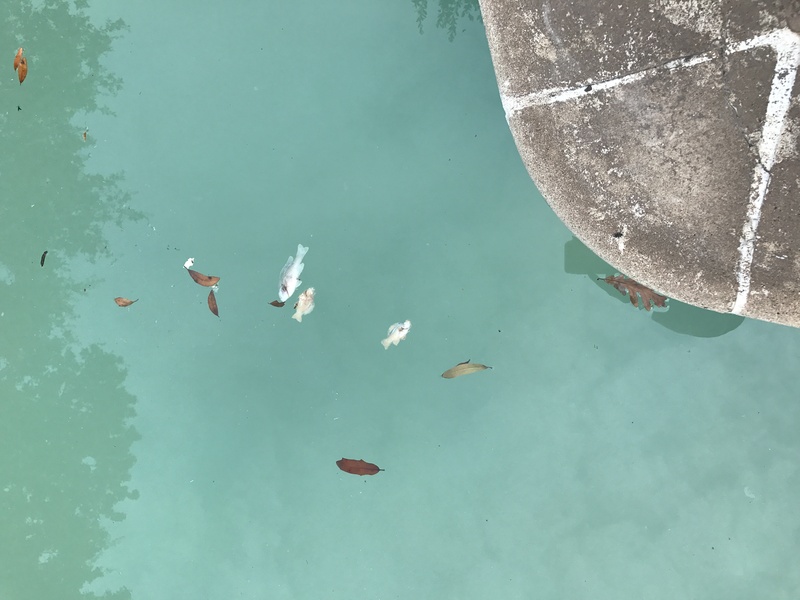 Michelle Bowers, “Fish in the pool,” Harvey Memories Project, accessed April 19, 2019, https://harveymemories.org/items/show/2049.